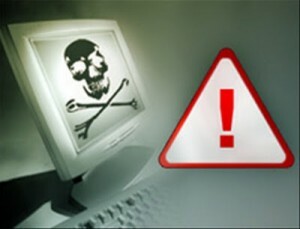 Now a day’s attack of virus is common on all PC, even PC with Anti Virus also get Attacked by virus. To avoid virus attack in your system keep updating your Anti Virus. Virus attack is very dangerous once it enters system it destroy all important files and data. In this situation only one remedy is possible, that is backup your data smoothly to another drive. Simple way of storing your back up is external hard drives. There are many kinds of external drives are available like DVD, CD, flash drives and you can use external hard disk. You can also activate automatic backup system in your PC. But some operating system doesn’t have that facility, so better you can opt for external media. As the Science and Technology is increasing day by day there are many different steps to create backup process. Now days advanced operating system come with automatic backup system. You can use manual methods like moving data to cloud, transfer or copy data. But manual process is little hectic one. Safe guarding your data is very important one. For that every day update of Application and Software is necessary, so that you don’t face any problem of virus in your system. If you don’t have any automatic update system, better you can opt for external media. Yes.. One must aware of viruses and the harms they do.. It’s a good practice to backup important data every week. Shree recently posted..How to Send Fax Online With HelloFax?